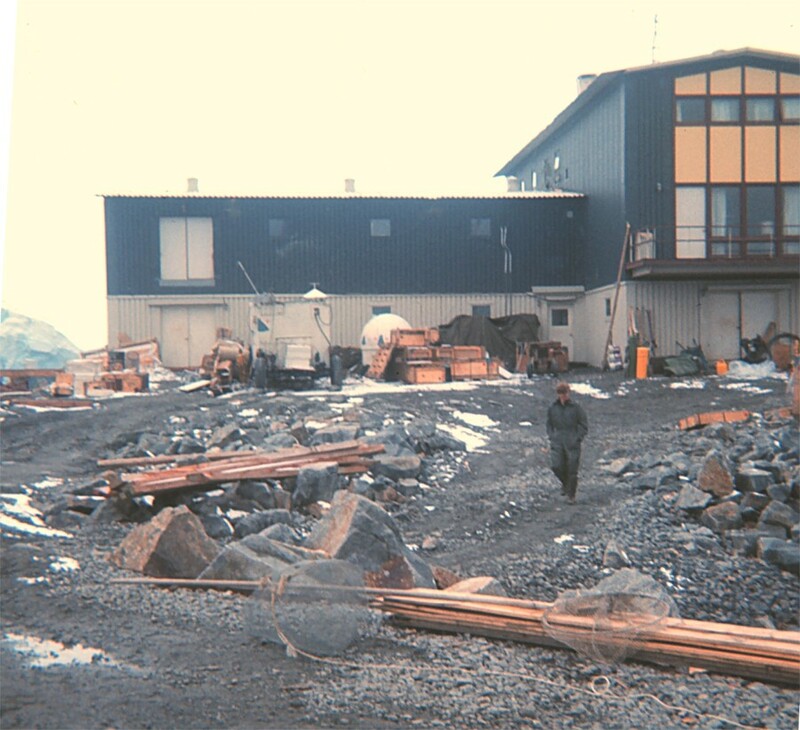 Biolab during the 1968-69 summer. This photo was taken by the Army Topographic Command group, who spent the late summer and winter at Palmer with the PAGEOS (Passive Geodetic Satellite) project. More information and photos about this project are here, other documentation is in this text file. 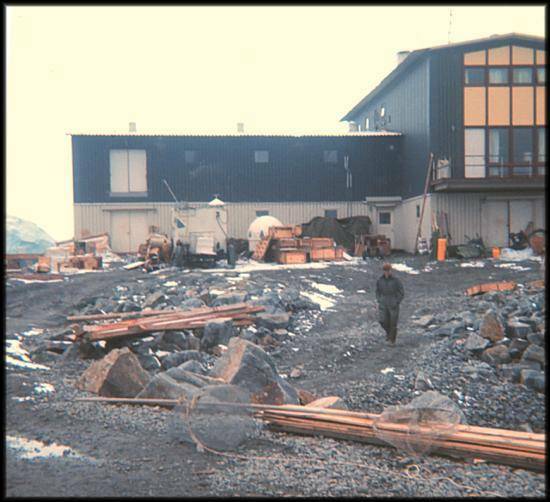 This project was extremely prolific with photos that ended up in the NOAA photo library (the above photo is photo 768 on this page. But this picture is the only one that shows the front of the biolab. I don't understand why the photographers had to show all the construction debris in these photos, but anyway, in front of Lab 3 is one of their equipment vans along with one of their camera enclosures (the white round thing). As always, additions, corrections and comments are welcome...please let me know. I must acknowledge the help of Glenn Grant who sent me all of the w/o pictures!